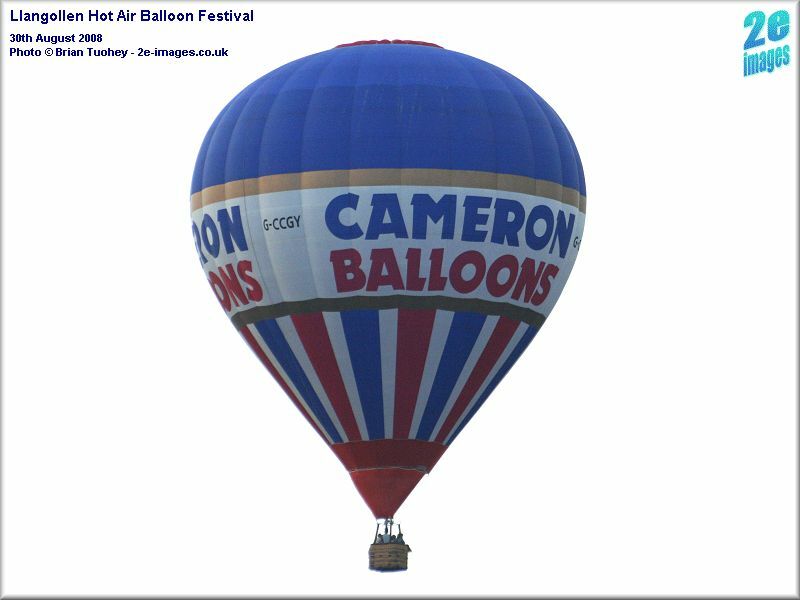 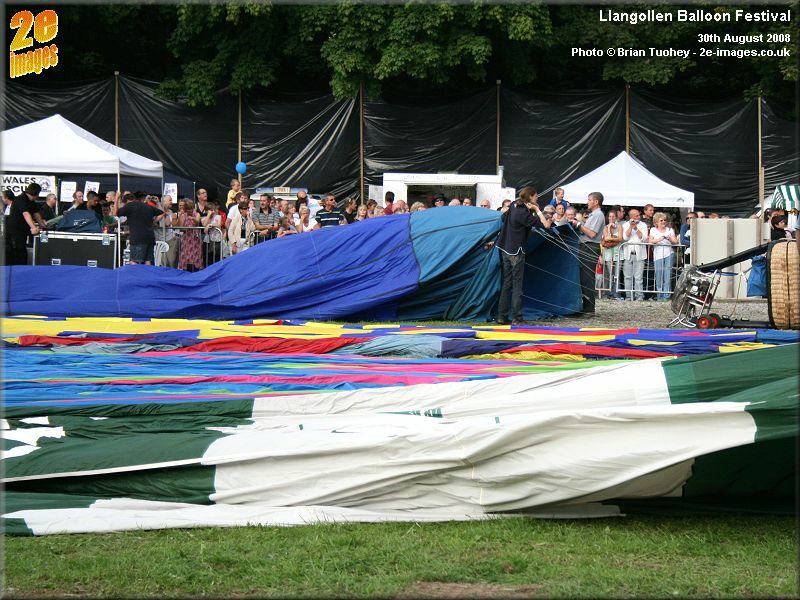 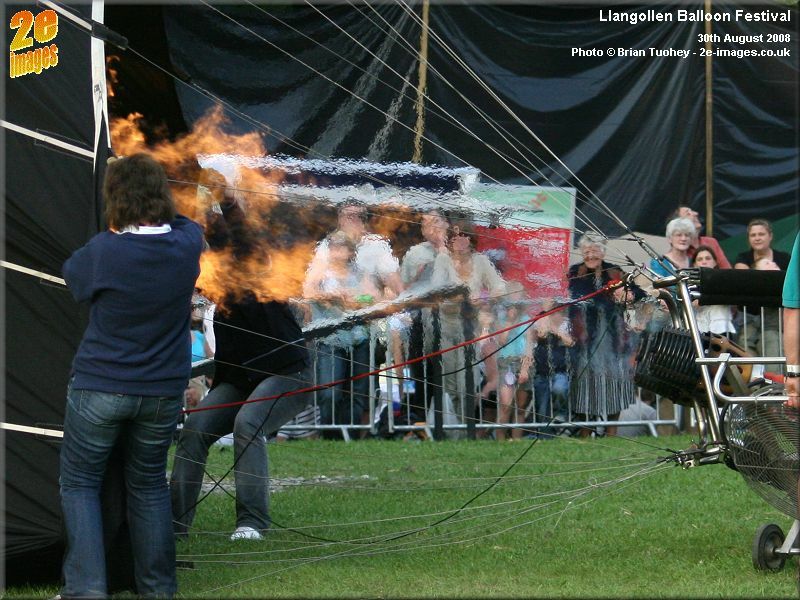 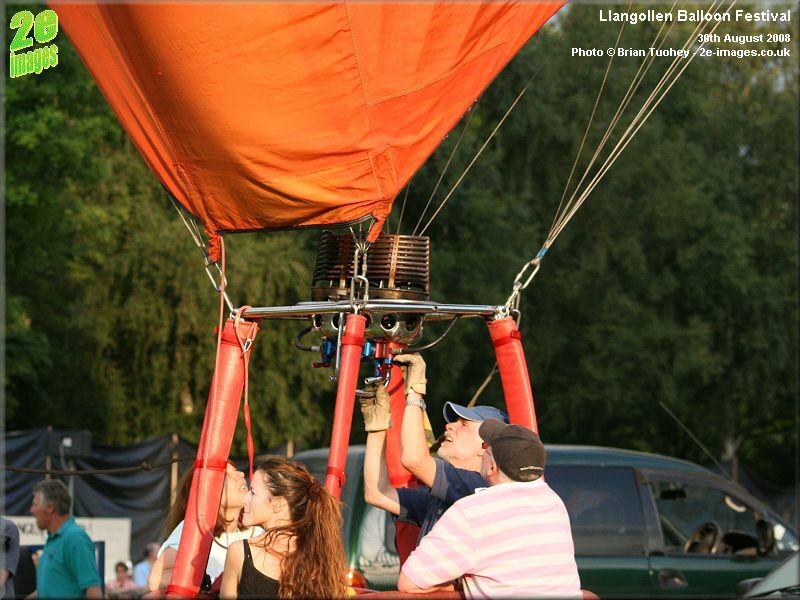 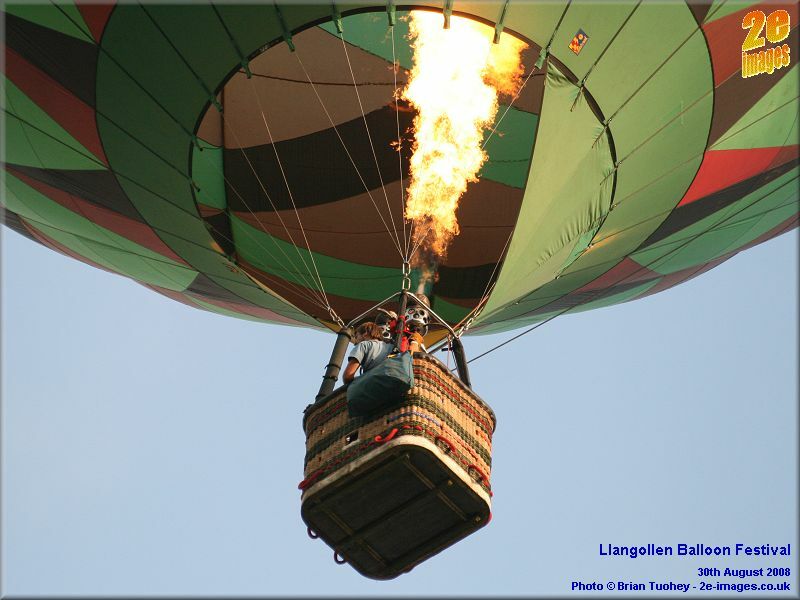 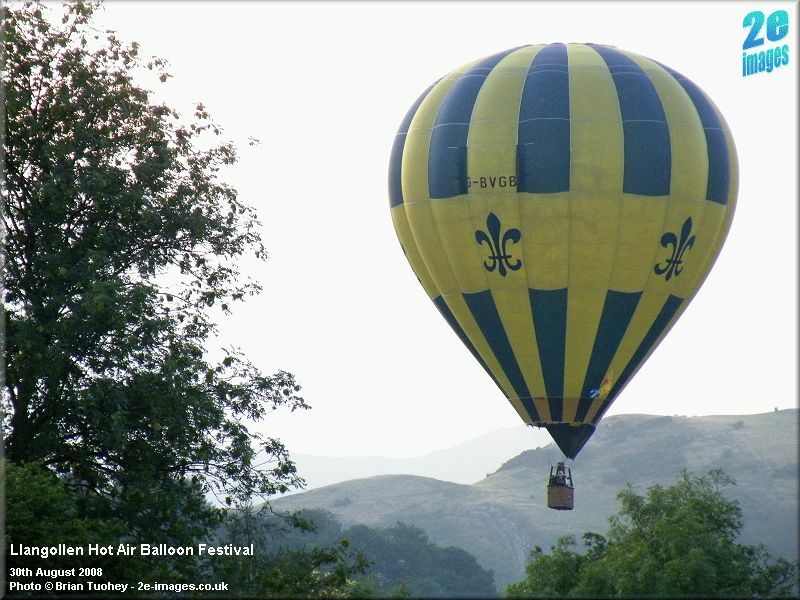 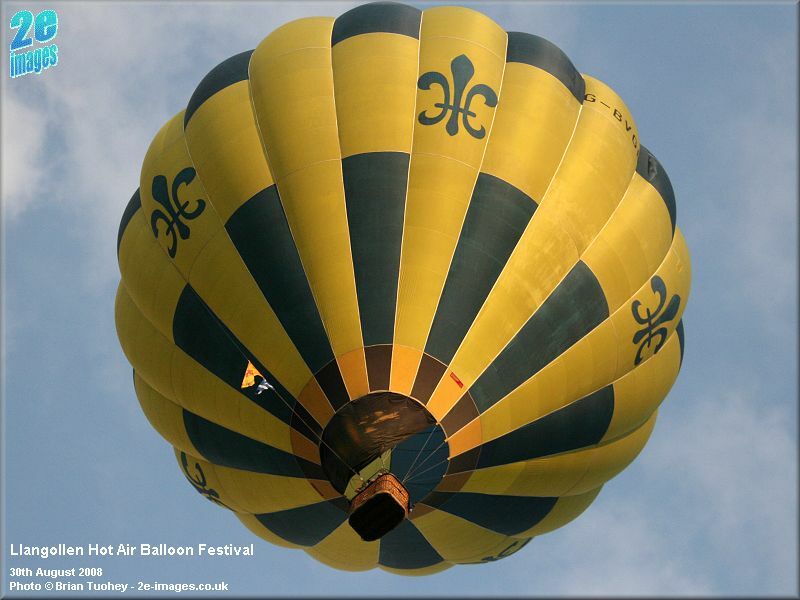 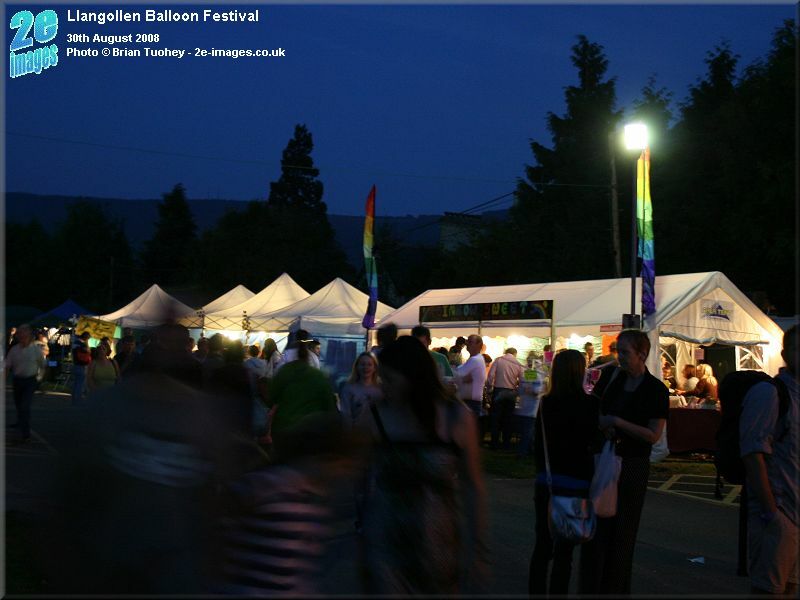 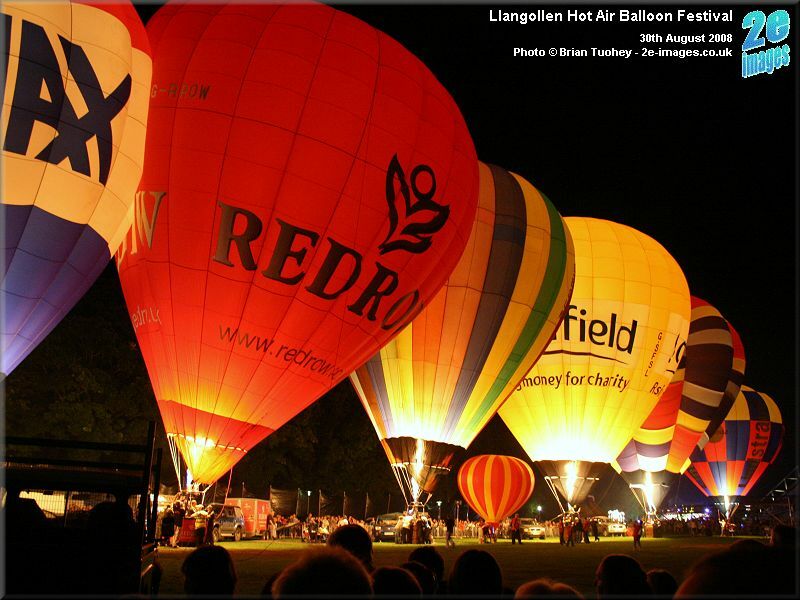 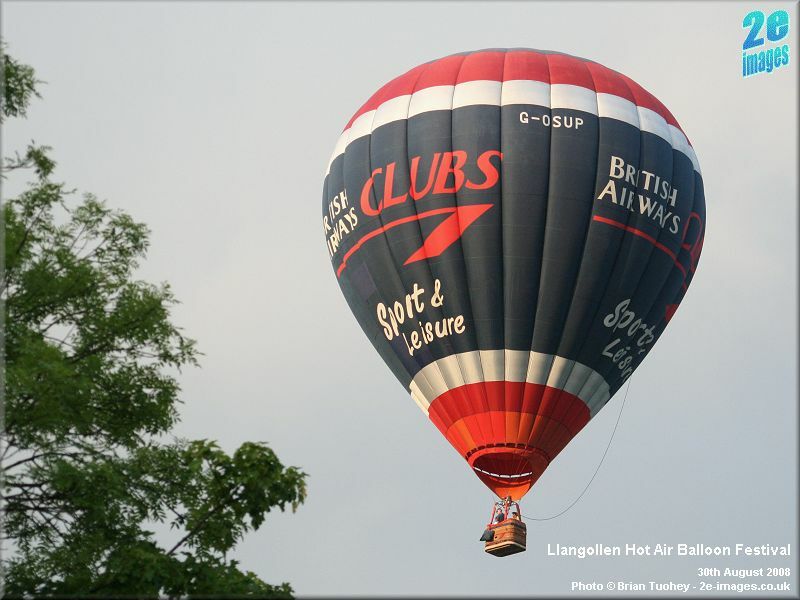 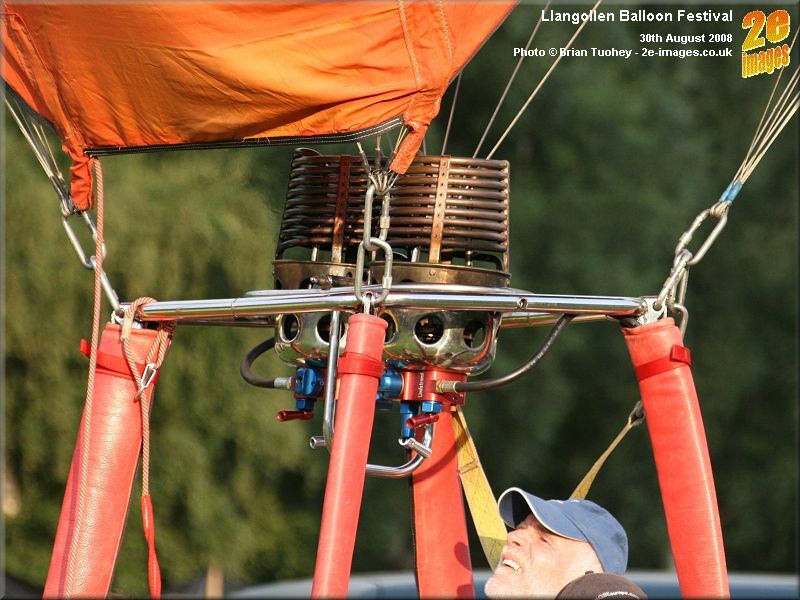 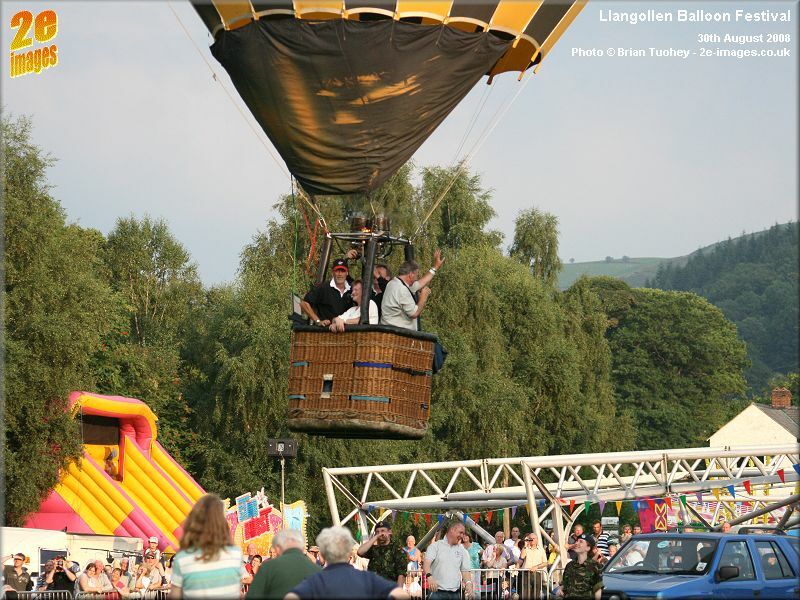 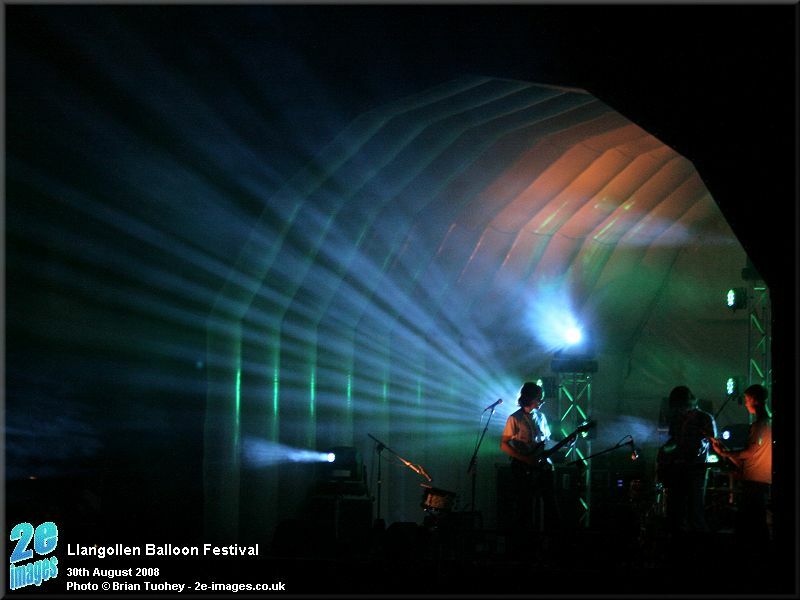 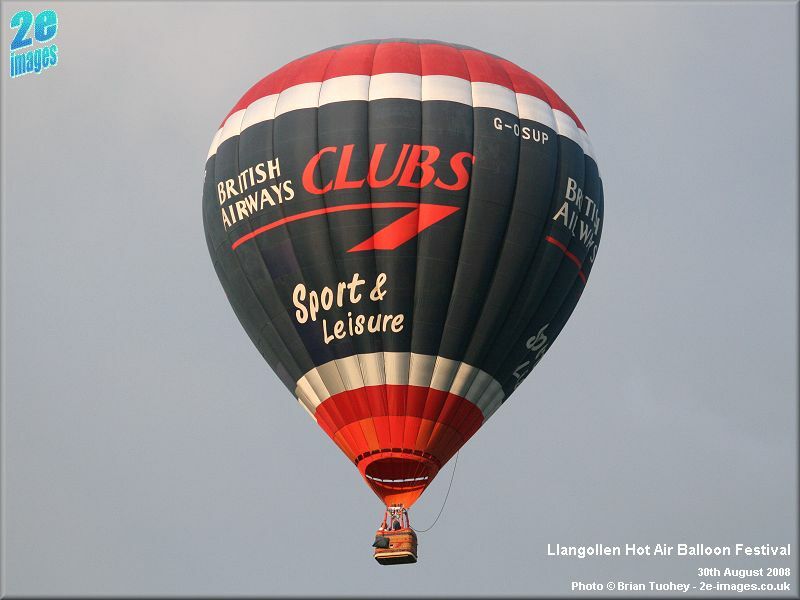 We first heard about the Llangollen Hot Air Balloon Festival in 2007 and we returned to visit it again on 30th August 2008. 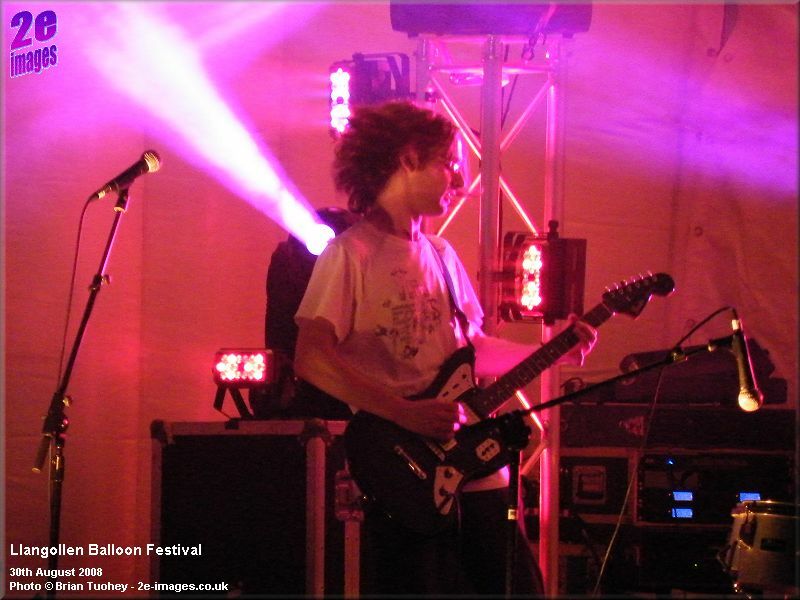 The photos on this page are all from 2008. 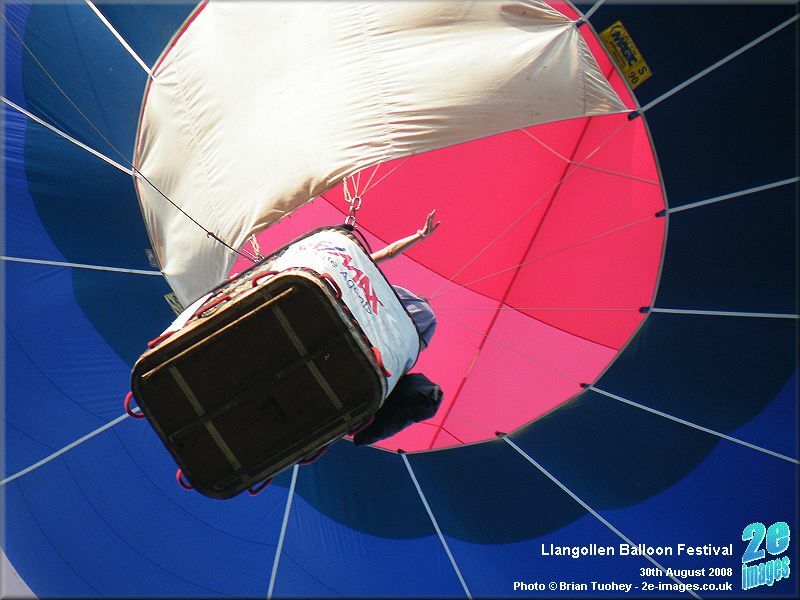 The gracefulness of balloons in flight. 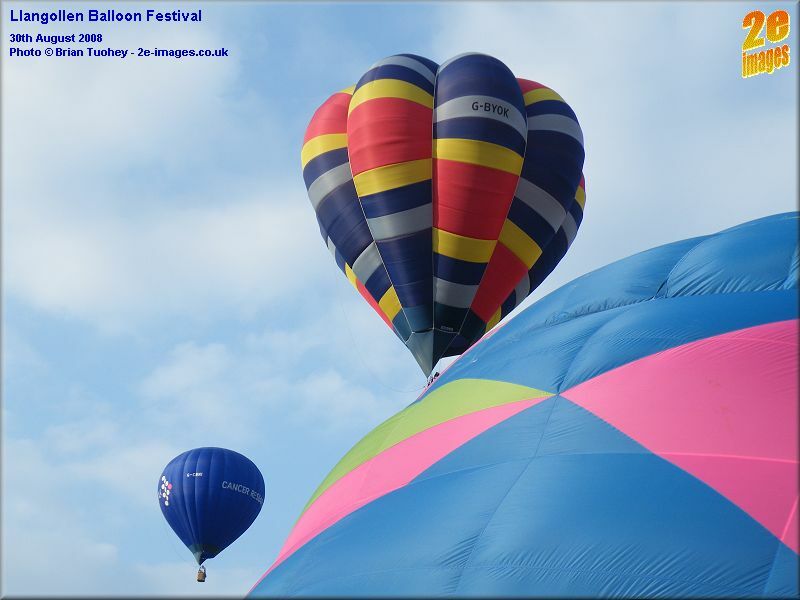 On this occasion, the balloons that took off first seemed to make much better progress. 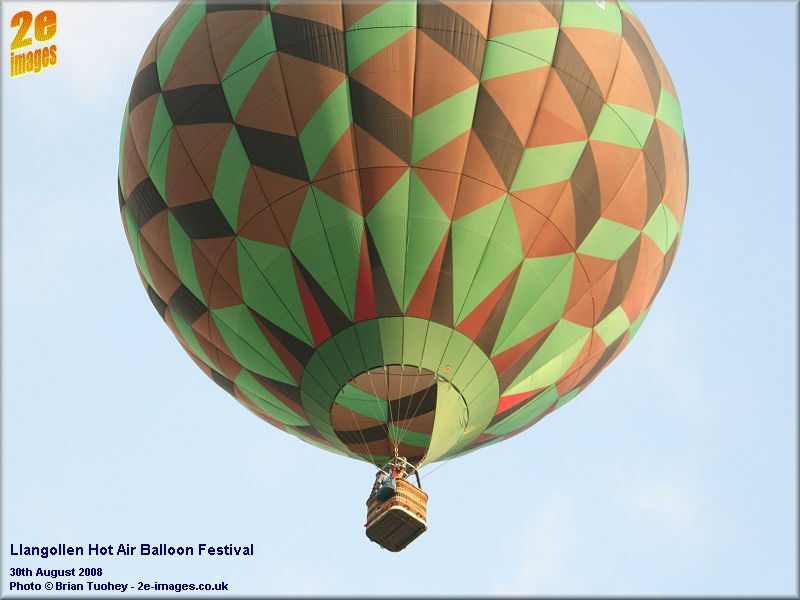 The last few to leave struggled to gain any distance at all, so I guess the conditions must have changed through the late afternoon and early evening. 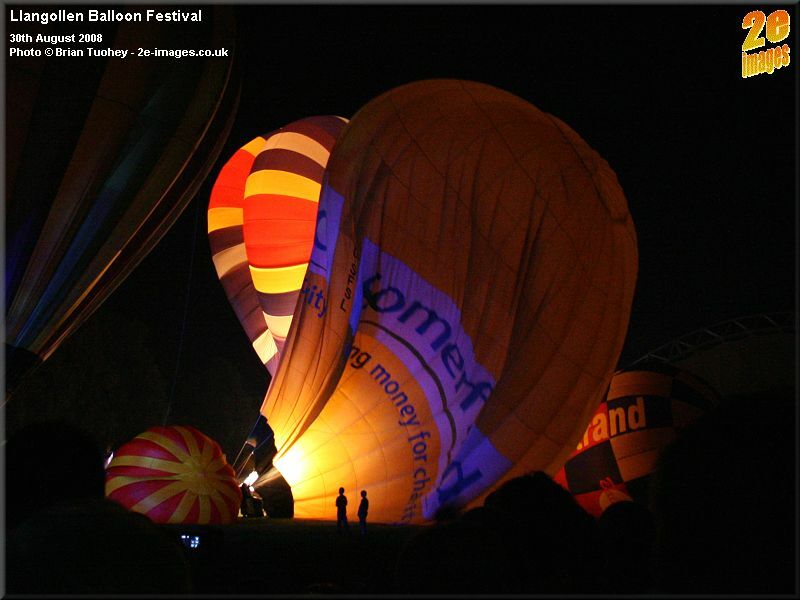 The balloons took off from about 6pm. 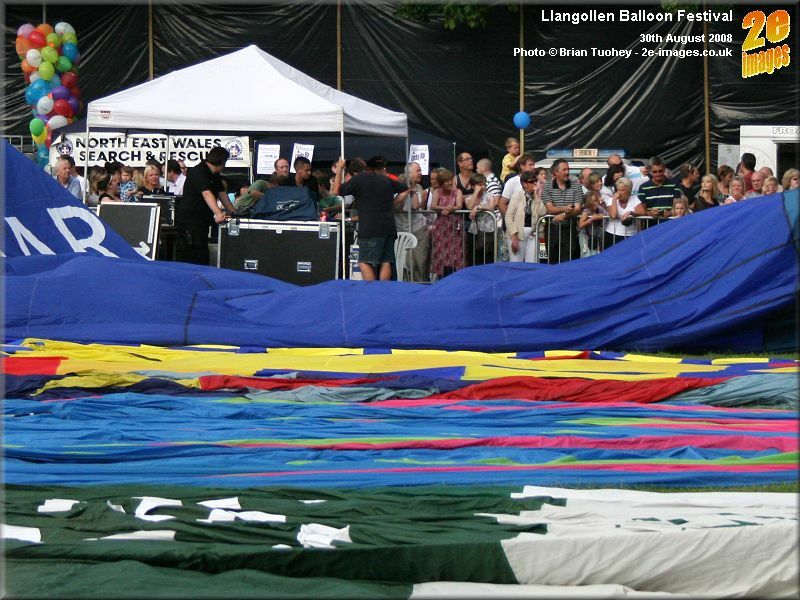 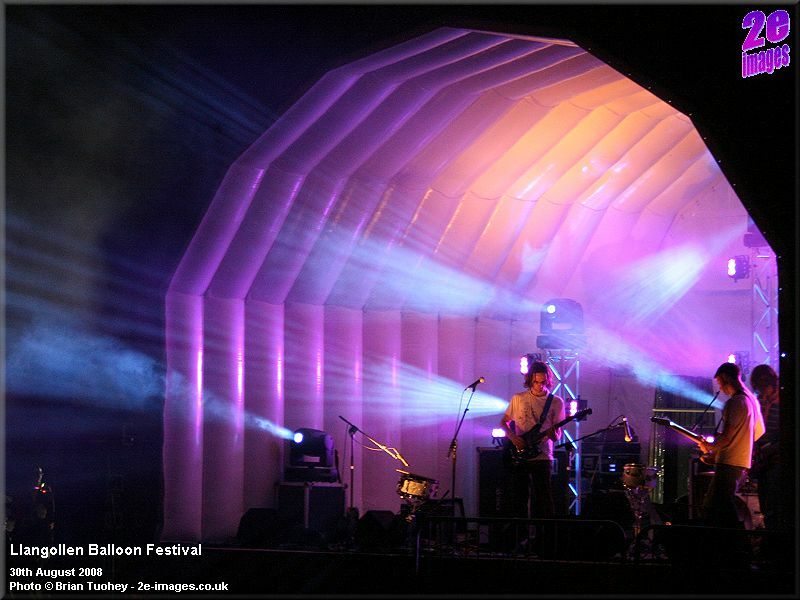 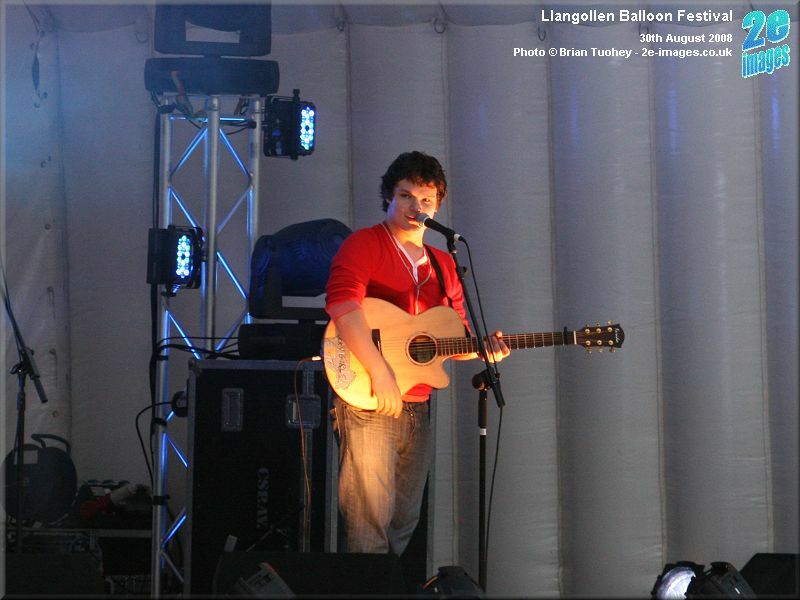 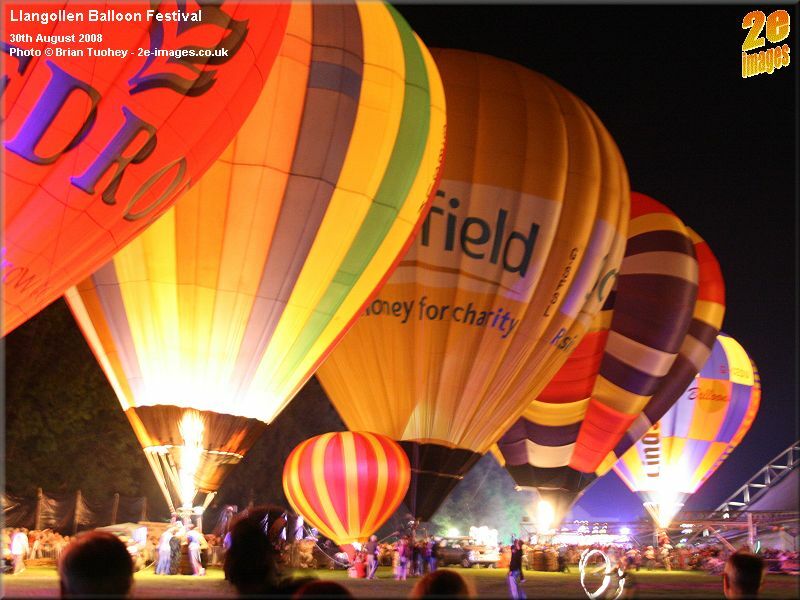 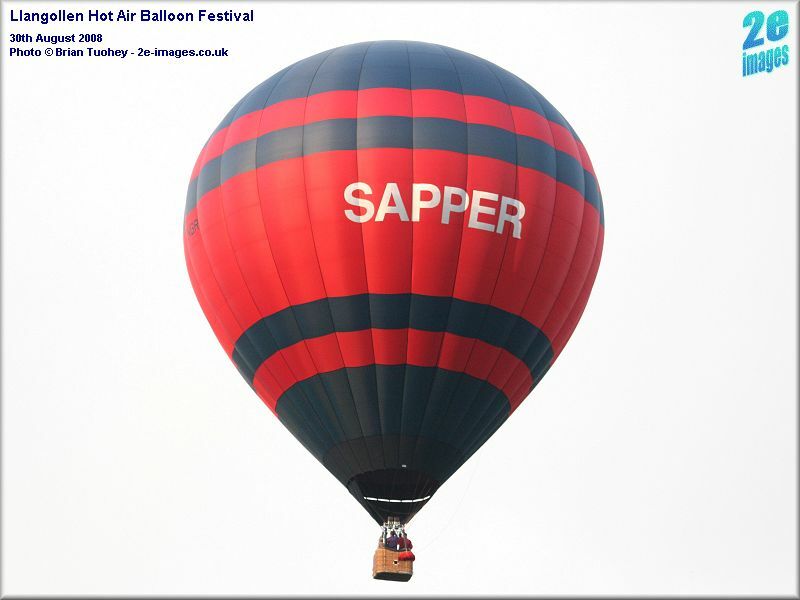 The first stage was unrolling the balloons on the field, creating a carpet of colour. 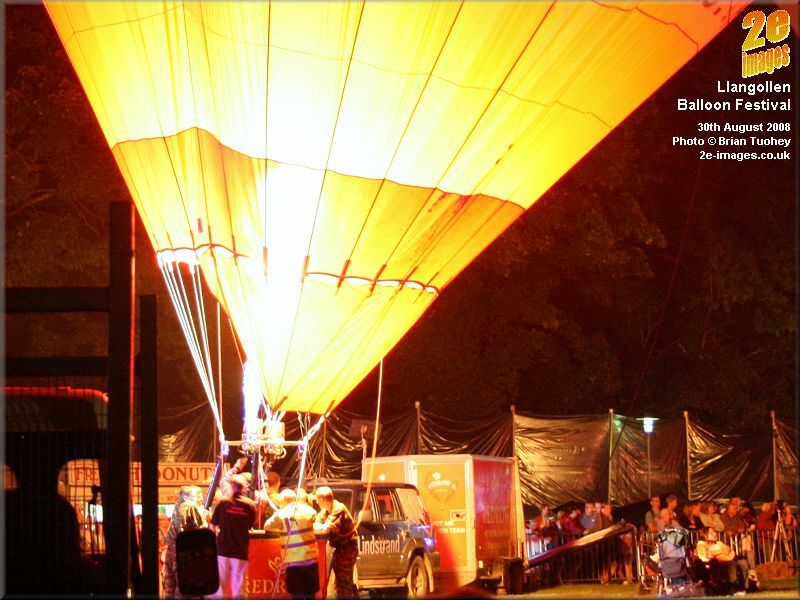 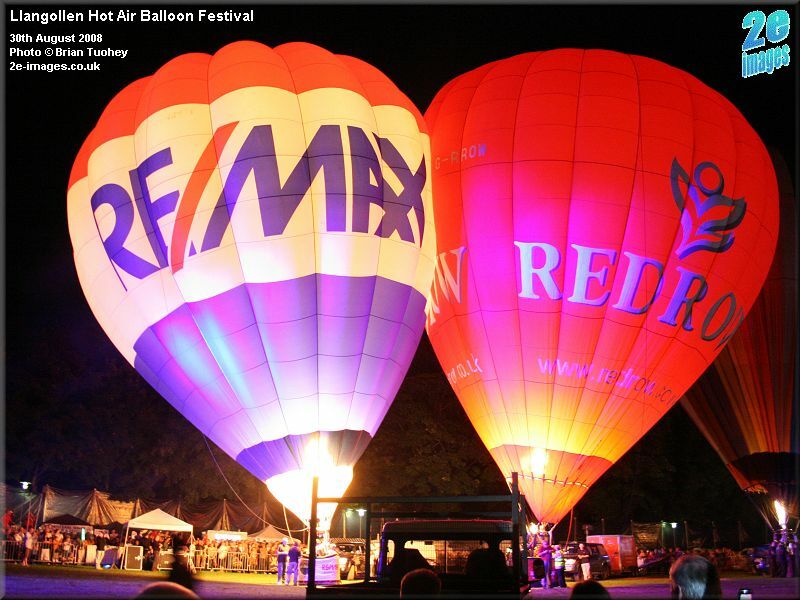 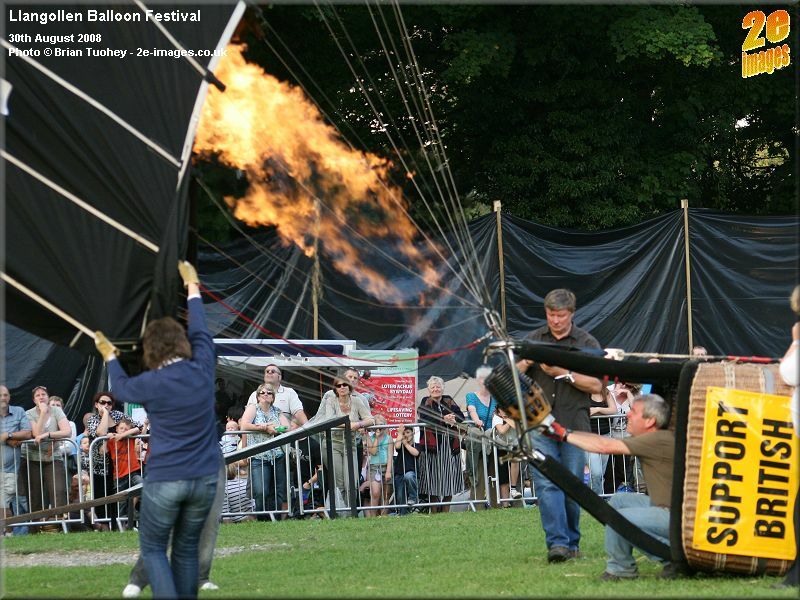 Then came the gas burners filling the balloons with hot air, until finally they were ready for lift off.. 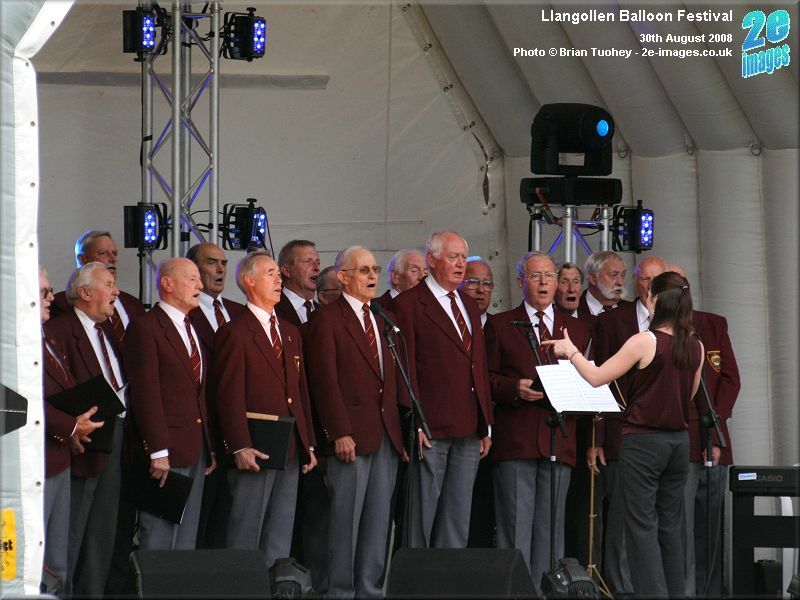 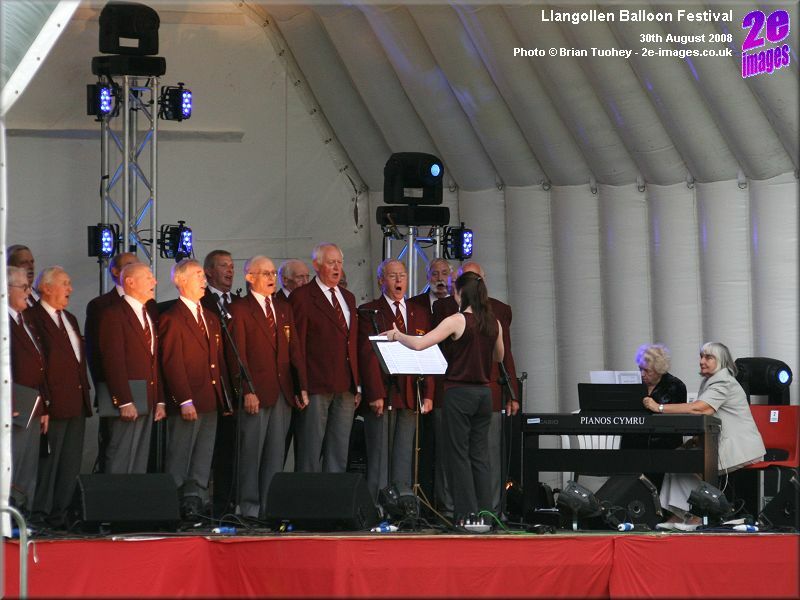 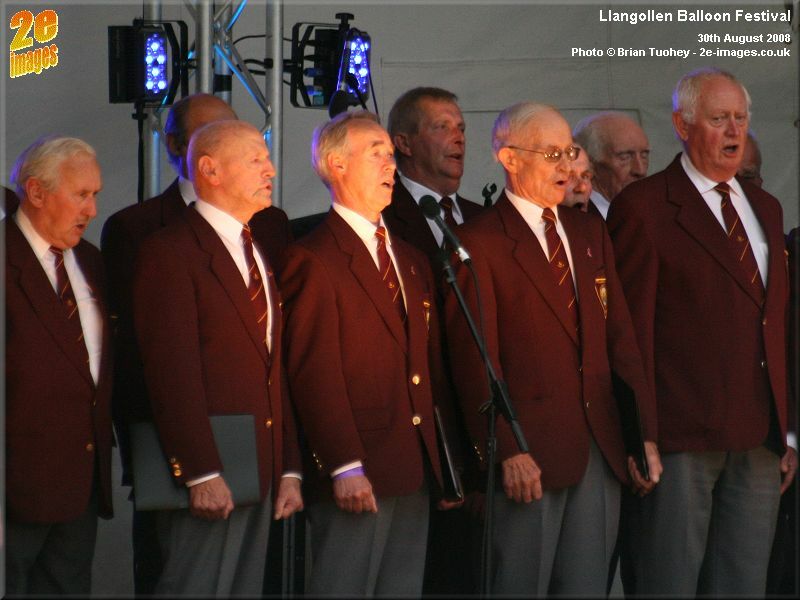 There was music in the form of a local Male Voice Choir, a soloist and a band. 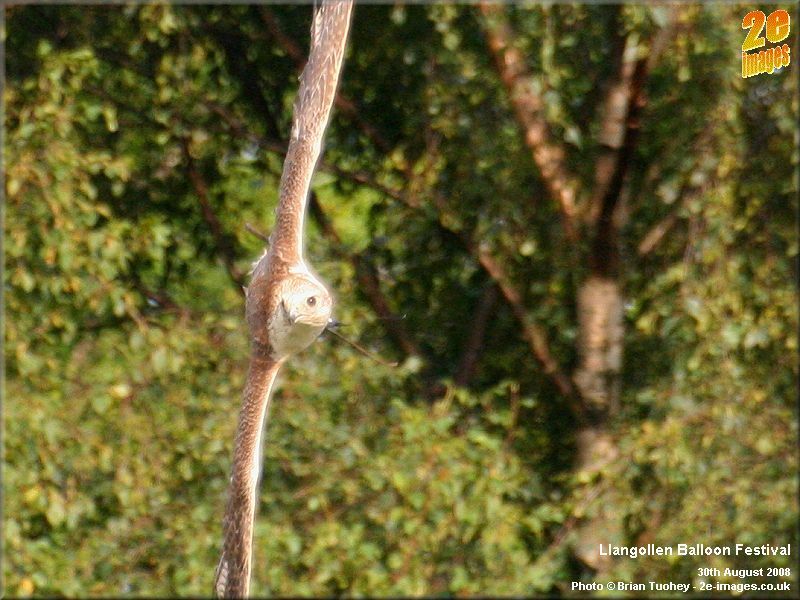 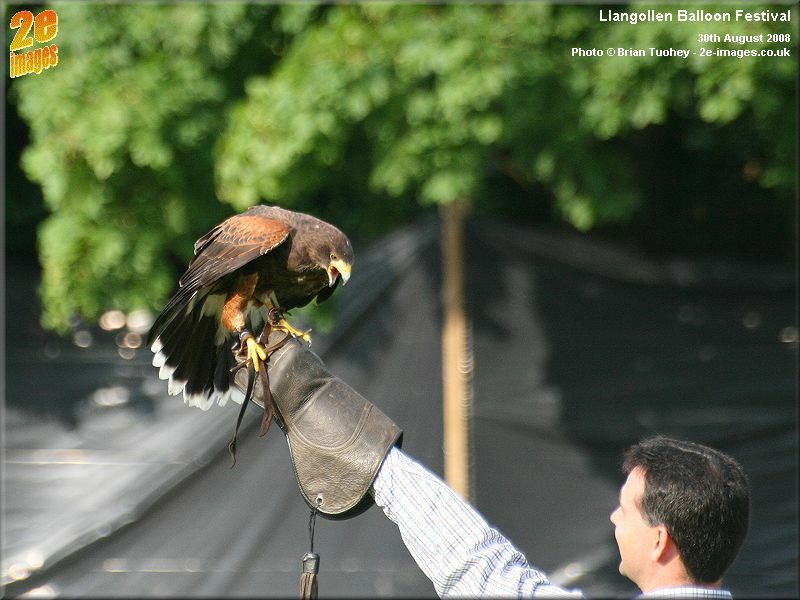 Other entertainment in the main field included birds of prey and a motorcycle display team. 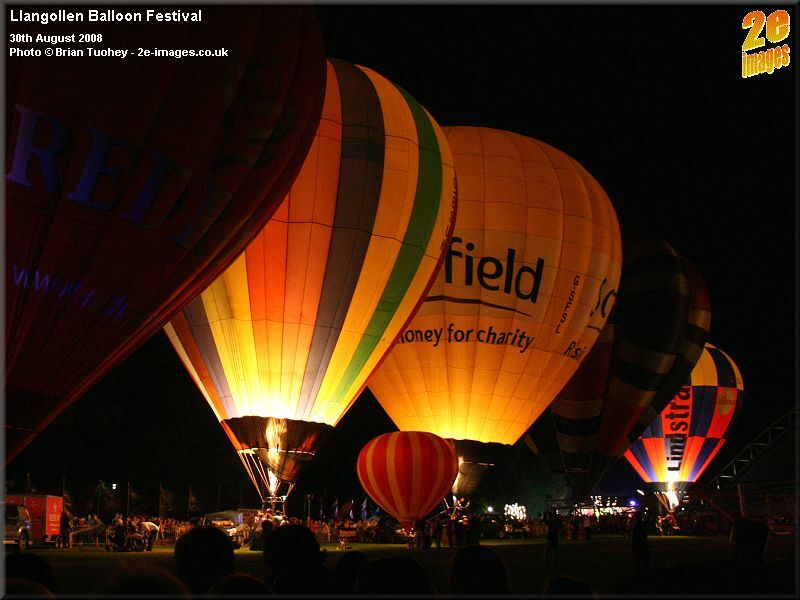 I have put a short video on to YouTube showing part of the night glow display.